A tiny hole in a tooth leads to a larger hole in a tooth and eventually, extensive dental work. Most insurance policies cover cavity repair, fillings, root canals and crowns because they are medically necessary. Untreated, even a tiny hole in a tooth can lead to serious infections that can compromise your health. 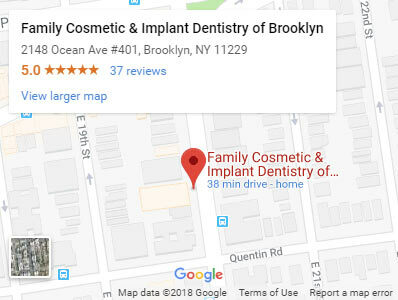 See your local family dentist in Brooklyn before that happens. A cavity is a hole in a tooth. It may be a tiny hole in a tooth at the very beginning of tooth decay or a larger hole caused by a lost filling. You may develop holes in your teeth from eating disorders or even from heartburn — any condition that increases the acid in your mouth. The byproduct of the bacteria found in plaque is acidic, which eats away at the enamel on your teeth, leading to holes. The more acid, the quicker cavities form. A tiny hole in a tooth first appears. 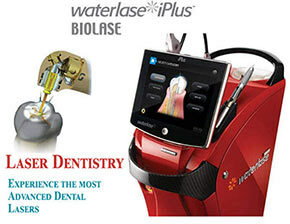 Plaque that develops turns into tartar, a much harder substance that can only be removed with a professional cleaning. Minerals break down in your teeth and the decay grows. In addition to the holes, your teeth may develop white spots, another sign of early tooth decay. As the enamel on your teeth continues to break down and weaken with the barrage of acid, the cavities enlarge and the acid begins to attack the next layer in your tooth, called the dentin. Dentin is softer than enamel and easily breaks down until the hole eventually reaches the pulp, the most sensitive part of your tooth. You’ll know that you have a cavity at this point as the nerve pain turns into throbbing tooth pain. Go easy on starchy and sugary foods that stick to your teeth and promote decay and cavities. Brush more often if you eat more often during the day. Frequent snacking, for example, should equate to frequent brushing. Avoid drinks loaded with sugar that are known to encourage bacteria. Water is so much healthier, but if you must have a sugary beverage, drink it while you eat. Use fluoride toothpaste, which slows down enamel erosion and helps to speed up the remineralization of your teeth. Floss regularly, removing plaque and bacteria from these harder to reach areas in your mouth where they like to hide. Visit your general dentist in Brooklyn at least twice a year for a teeth cleaning, x-rays and a checkup to stay ahead of decay. Your dentist can catch a tiny hole in a tooth earlier than you can. Switch out your toothbrush about every three months or when it begins to show wear, to better remove plaque. Consider teeth sealants for you and your kids to cover grooves and hidden spots. 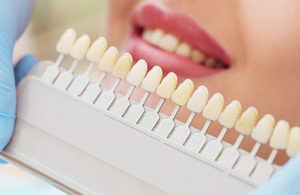 Since your family dentist also is a cosmetic dentist in Brooklyn, you have the advantage of his recommendations for filling material. Most often, he’ll use tooth-colored material when the tooth is visible and stronger metals for your back teeth. When a cavity is larger or infected, it’s possible you may need to undergo a root canal, which creates an even larger opening that needs to be covered by a crown. Do you have any questions about the Hole in a Tooth treatment options in Brooklyn? 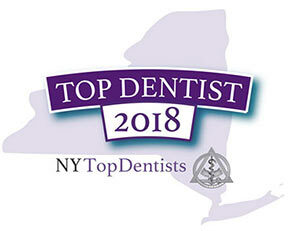 For more information or to schedule an appointment with the best family dentist Khabensky DDS of Family Cosmetic & Implants Dentistry of Brooklyn please contact our dental clinic Brooklyn for consultation with the dentists Alex and Igor Khabensky DDS.